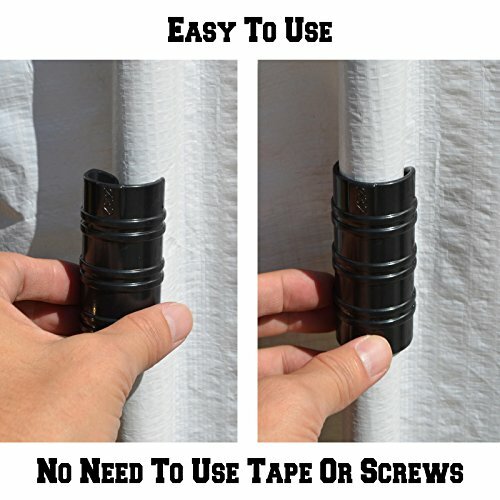 Allow quick and easy attachment of tarps, shade cloth or netting to any type of pipe. Great for greenhouse, banner frame, shelters, row covers. This clamps have a higher temperature resistance and allowing it to keep it's gripping power for a long time. Use to hold all kinds of sheet material on tubular frame. Compatible with any type of pipe, including PVC.